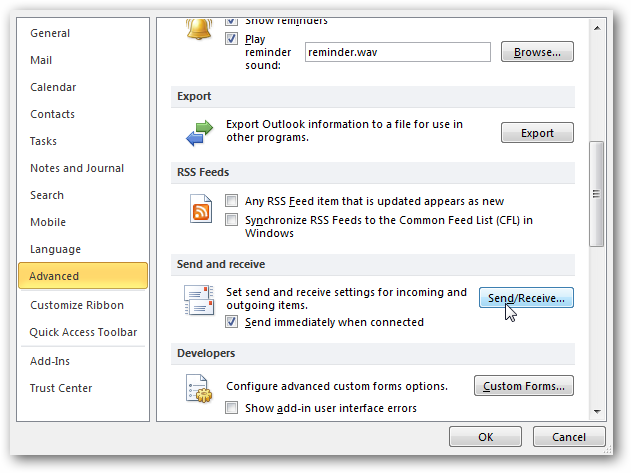 To schedule Auto Send/Receive in Outlook 2010, click on the File tab then Options. 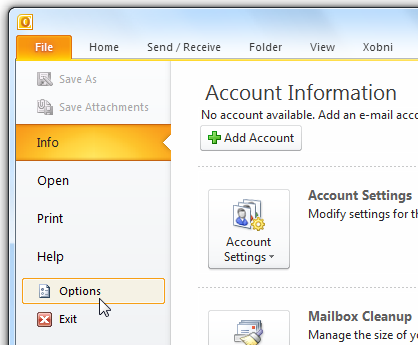 The Outlook Options window opens…click on Advanced and scroll down to Send and receive and click on the Send/Receive button. 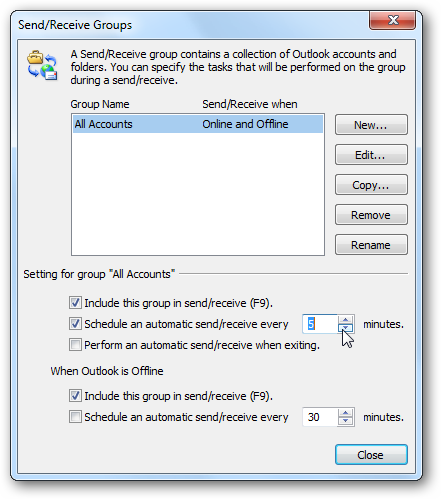 In the Send/Receive Groups window under Setting for group “All Accounts” check the boxSchedule an automatic send/receive every…minutes. It is set to 30 minutes by default and you can change the minutes to whatever you want it to be. If you’re busy and want to keep up with your messages you can go as low as every one minute.